If you are new to the formation of combined authorities you may find this 16-page, June 2015, House of Commons Briefing Paper helpful. I have unpacked some of the key areas to help your understanding of what combined authorities are and how they may impact on your work. It will hopefully tempt you to download the original and add it to your Highway Code folder. A combined authority (CA) is a group of two or more local authorities who set up joint functions and operate as a single legal entity. To create a CA, all the participating authorities must agree and publish a schema, showing the membership and functions. The CA is then set up by order from the Secretary of State. The CA is responsible for transport and economic development, and any other functions which the members choose to share. It should reflect the identities and interests of local communities, so the member authorities may choose to retain individual responsibilities, while sharing others. Full members of the CA must belong to adjacent areas and cannot be part of a county council or other council area. Although an authority can only be a full member of one CA, it is possible to be an associate with others. As the local enterprise partnerships (LEPs) are often across different economic areas, this can allow the partners to meet these separate boundaries. The Government views combined authorities as “the strongest form of local government” which should be considered as a preferred model wherever possible. The structure can make it easier to access funding, rather than individual authorities placing separate bids. The model for each combined authority can vary. It may retain the same shape if it is established from a former metropolitan area. However, councils with a two-tier function may choose a different configuration. A combined authority board must include one councillor from each constituent authority and this selection is expected to reflect the political balance of the partners. There may also be a scrutiny and overview panel. In the case of Greater Manchester Combined Authority (GMCA) this was not mandatory, but they established a scrutiny pool which consists of three back bench councillors from each authority and reflects the political balance of the partners in the CA. Other combined authorities have been required to form at least one overview and scrutiny panel. The panel members cannot also be members on the board of the CA and the panel chair should not be part of the main political party. Overall, there should be political balance and the inclusion of the minority parties. The local authorities in the combined authority continue to provide the same functions and still exist in their own right, with the ability to choose which services are run jointly or separately. However, the CA is not allowed to provide statutory services on a commercial basis, unlike the local authorities. An elected mayor is not mandatory for a combined authority, but any CA which does not have a mayor will have reduced powers. It is not clear exactly which powers would be withheld but the existing CAs give some indication. For example, Sheffield and West Yorkshire have chosen not to have a mayor and consequently have fewer powers than the Greater Manchester Combined Authority (GMCA). The GMCA currently has an interim mayor who takes responsibility for the transport budget and transport systems. They manage a housing investment fund and they have the power to produce a statutory spatial strategy. In addition, they take on the role of Police and Crime Commissioner for the area. However, the mayor will not be responsible for integrated health and social care. Unlike London, where the mayor can take decisions without the approval of the London boroughs, the GMCA Mayor’s plans will be subject to approval from the cabinet members for the combined authority. In additional, the Scrutiny Committee of 30 non-executive councillors from the ten Manchester boroughs will review these decisions. In 1972, government reforms created a number of metropolitan councils. These new authorities did not follow the historic county boundaries, but were based on ‘functional economic geography’, which meant the cities and their outlying areas. This led to parts of several counties becoming part of a new authority, separate from the counties in which they were situated. The metropolitan councils were responsible for fire, police, transport, waste disposal, economic development, passenger transport and land-use planning. They had similar functionality to the Greater London Authority and worked with borough councils who still existed in a two-tier system. When the metropolitan councils were abolished in 1985, the control was left with the borough councils who were the only elected level of local government. Functionality was split between joint committees, which took responsibility for fire, police and transport and the councils who managed the other duties. In the areas where a combined authority is formed by borough councils who previously worked with a metropolitan council, the boundaries will tend to be similar, although not always identical. For example, the Liverpool City region covers the old metropolitan council of Merseyside, but it also includes Halton, which was previously a unitary authority and, before that, a part of the Cheshire County Council area. PM David Cameron got into trouble, when talking to an aide about the problems involved in setting up a combined authority in the Leeds/Yorkshire locality. The BBC News website reported that, ‘Wearing a microphone but not on camera, he was thought to be rehearsing an answer to a question on devolution and the number of bids from the county. He said: “We just thought people in Yorkshire hated everyone else, we didn’t realise they hated each other so much.”’. Maybe he was mulling over the ‘Harrogate Conundrum’, which is being experienced in localities where councils sit on the edge of two potential CAs. Harrogate has the option to either join the North and East Yorkshire Combined Authority or the Leeds City Deal. The preference of Harrogate Borough Council is to be part of a Greater Yorkshire combined authority. This appears unlikely as Leeds City Council plans to work with only neighbouring councils or work as a single authority. Both authorities have advantages to Harrogate. North and East Yorkshire includes Harrogate within its boundaries and has a strong tourist economy, but the Leeds City Deal was awarded the biggest growth fund in the country in 2014 and has more money. However, Harrogate might not have the final choice as North and East Yorkshire could veto a boundary change anyway. Combined authorities will be the proof of whether the Total Place and Localities policy actually can deliver more effectively than a centralised policy. The next few years will be interesting times for the public sector. 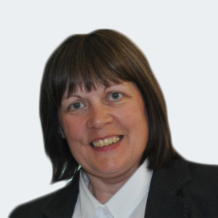 Julie’s article is very helpful in updating us on the combined authorities’ (CA) journey. If you have attended the SSA Highway Code seminars, you may remember the Trust Fracture Point (TFP) test. If there are only two partners in a collaboration project, then there is only one point at which trust can fracture and the partnership fail, or stumble. If there are three partners, there are three TFPs. But, if there are four partners, it jumps to six TFPs. With five partners there are ten TFPs, six partners fifteen TFPs and it rises almost exponentially (but not quite). How many TFPs in a combined authority context? A proposed membership of the Surrey/Sussex CA will include 23 councils, three local enterprise partnerships, 12 clinical commissioning groups (CCGs), the two police forces, as well as the South Downs National Park and East Sussex Fire and Rescue Service. If you do the maths, there are over 800 TFPs to make the CA stumble, or even fail. It means that to ensure that these multi-billion pound, multi-partner, multi-culture, collaborations are successful, there will be a requirement nationally for hundreds of skilled collaborative working specialists like you. SSA will be promoting the role of Collaborative Transformation Practitioner and Collaborative Transformation Architect to fulfil these resource roles.